Eating disorders are complex mental health disorders that occur in many different forms, including anorexia, bulimia, binge eating disorder and eating disorders not otherwise specified. While each type of eating disorder has its own set of associated symptoms, all types of eating disorders have the potential to cause long-term damage to the body’s organs. Complications from the disorders, as well as co-existing mental health disorders, are wide ranging and sometimes fatal. Appropriate and prompt eating disorder treatments lead patients toward recovery, reducing the risk of medical complications and death. Individuals with anorexia nervosa severely restrict their food intake or engage in extreme exercise regimens in an effort to prevent weight gain or cause weight loss. According to the American Psychiatric Association, medical professionals diagnose anorexia when a patient weighs at least 15 percent less than the normal weight for the patient’s height and age. Aside from drastic weight loss, eating too little causes major nutritional deficits, denying the body many macronutrients and micronutrients it needs to function properly. Due to severe calorie restrictions, the body does not receive adequate energy through food, and its processes slow down in order to conserve energy. According to New York Presbyterian Hospital, approximately 95 percent of patients that doctors admit to hospitals for anorexia have low heart rates. Low blood pressure and irregular heart rhythms also occur, and the risk of heart failure increases as the disease progresses. Due to changes in the endocrine system, women with anorexia often stop menstruating, and the body has a difficult time regulating its temperature. Medical issues stemming from anorexia are not limited to the cardiovascular and endocrine systems. Bone density often decreases due to a lack of calcium and vitamin D, causing premature osteoporosis and increasing the risk of bone fractures. New York Presbyterian Hospital also highlights hematological issues, including anemia, which occurs in one-third of patients, and a low white blood cell count, which affects 50 percent of patients. Because white blood cells play a key role in immunity, a low white blood cell count increases the risk of opportunistic infections. The kidneys also suffer damage due to prolonged dehydration, and kidney failure is a possibility. Ultimately, people suffering from anorexia risk starvation or suicide. The National Eating Disorder Association states that the mortality rate for anorexia is higher than that of any other mental illness. Unlike patients with anorexia, individuals with bulimia do eat, sometimes consuming thousands of calories in a single binging session. In an effort to maintain control and prevent weight gain, they then purge the food by vomiting or abusing laxatives, emetics or diuretics. This binge-and-purge cycle may happen several times per week or, in severe cases, several times per day. While individuals with bulimia are less likely to be underweight and are sometimes overweight, bulimia does cause major medical issues when left untreated. Many of the medical issues that stem from bulimia occur due to frequent vomiting. When individuals with bulimia vomit, over time, the stomach acid erodes the enamel of the teeth, leading to decay. Some individuals experience ulcers or gastroesophageal reflux disease. The esophagus becomes raw and inflamed, and forceful vomiting has the potential to rupture the esophagus. In rare cases, over-stretching the stomach causes gastric rupture, a condition in which the contents of the stomach spill into the abdominal cavity, constituting a medical emergency. Some medical complications related to bulimia arise from the abuse of medications. Diuretic or “water pill” abuse damages the kidneys by contributing to dehydration. Laxative abuse causes gastrointestinal issues, such as irregularity and constipation. According to an article in the Primary Care Companion to the Journal of Clinical Psychiatry, 1 to 2 percent of individuals with bulimia abuse syrup of ipecac, an over-the-counter medication that people use to induce vomiting. According to the article, this drug has toxic effects on the heart, weakening the muscle and potentially damaging the left ventricle. Both vomiting and laxative abuse lead to electrolyte imbalances which affect the heart rate and the function of other major organs, including the kidneys. Like individuals with anorexia, people with untreated bulimia are at risk of heart failure, kidney failure and death. Like individuals with bulimia, those with binge eating disorder consume large amounts of food in a single sitting, but they do not vomit or otherwise purge the food. Because individuals with this disorder consume large amounts of fat and carbohydrates, they are often morbidly obese. The medical issues that arise due to binge eating disorder are similar to those of clinical obesity. According to the National Eating Disorder Association, individuals with binge eating disorder have an increased risk of cardiovascular problems, including high blood pressure, high cholesterol and heart disease. They are also at a higher risk of developing type 2 diabetes and gallbladder disease. Each of the aforementioned eating disorders often coexists with other psychiatric disorders, including depression, anxiety and obsessive-compulsive disorder. Medical issues stemming from these mental health disorders range from mild, such as sleeping problems, to severe, such as suicidal behaviors. Substance abuse and its related complications are also prevalent among those with eating disorders. The National Eating Disorder Association states that individuals with eating disorders are four times more likely to have substance abuse disorders than members of the general population. Substance abuse contributes to risky behaviors and exposes users to infectious pathogens. 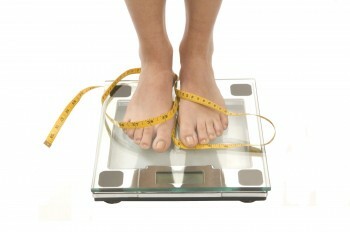 Compounding the problems that eating disorders cause, drugs and alcohol also damage the heart, liver and other organs. This enhances the risk of serious complications and organ failure. The key to preventing serious medical complications related to eating disorders is prompt, appropriate treatment in an eating disorder treatment center, hospital or other qualified facility. If you are, or someone you know is, displaying symptoms of disordered eating, call us at 1-888-920-1501 to talk to a staff member about your treatment options. With the right kind of help, you or your loved one can start on the path toward recovery. Nutrition for Eating Disorders is a 3-hour online continuing education (CE/CEU) course that describes the goals of nutrition therapy for the treatment of eating disorders. Clinician’s Guide to Understanding, Evaluating & Treating Obesity – This course is designed to help clinicians enhance their working knowledge of the etiology and treatment of obesity. Case studies will elucidate different aspects of treatment. Depression is a 1-hour online continuing education (CE/CEU) course that provides an overview to the various forms of depression, including signs and symptoms, co-existing conditions, causes, gender and age differences, and diagnosis and treatment options. Professional Development Resources is approved by the American Psychological Association (APA) to sponsor continuing education for psychologists. Professional Development Resources maintains responsibility for all programs and content. Professional Development Resources is also approved by the National Board of Certified Counselors (NBCC); the Association of Social Work Boards (ASWB); the American Occupational Therapy Association (AOTA); the American Speech-Language-Hearing Association (ASHA); the Commission on Dietetic Registration (CDR); the California Board of Behavioral Sciences; the Florida Boards of Social Work, Mental Health Counseling and Marriage and Family Therapy, Psychology & School Psychology, Dietetics & Nutrition, Speech-Language Pathology and Audiology, and Occupational Therapy Practice; the Ohio Counselor, Social Worker & MFT Board; the South Carolina Board of Professional Counselors & MFTs; and by theTexas Board of Examiners of Marriage & Family Therapists and State Board of Social Worker Examiners.